Mount Olive is arguably best known as the last resting place of Mary Harris, Mother Jones and the victims of the Virden Massacre of 1898. 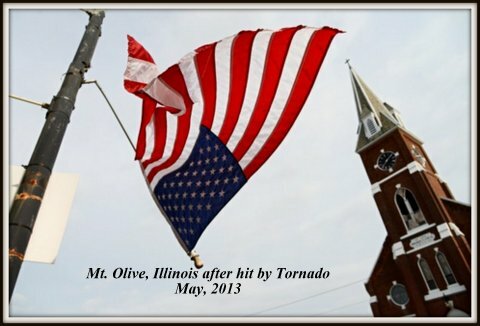 However Mount Olive was recently in the news for other reasons. 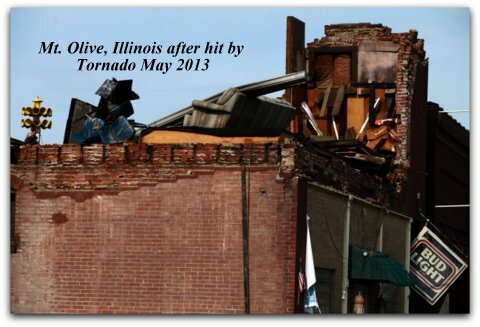 Like many surrounding districts Mount Olive suffered major damage in the May 2013 Tornado outbreaks. 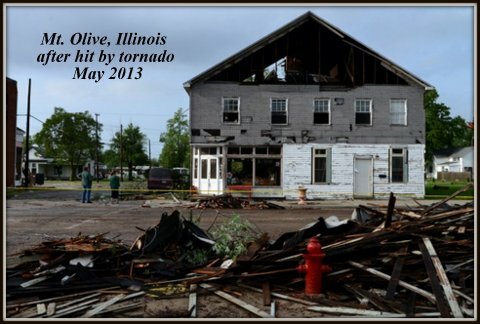 Our thanks to Patty and Don Schmeder who sent us these photographs of the damage caused by the tornado. 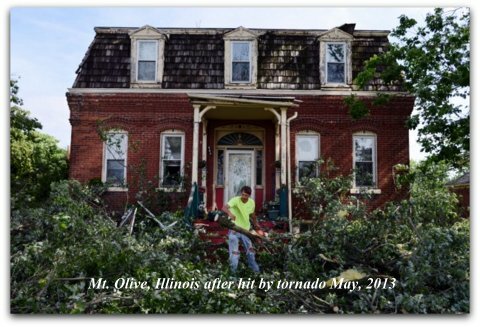 Our best wishes to the people of Mount Olive and other areas damaged by the tornadoes. 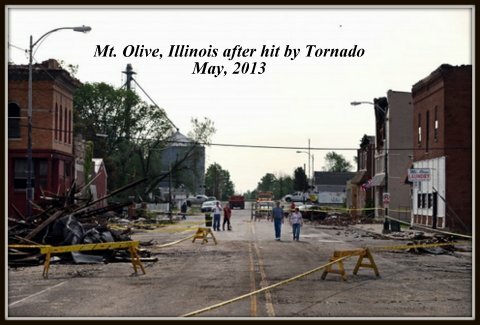 Hopefully they will be able to rebuild soon.